At BLVC, we see our share of wildlife. 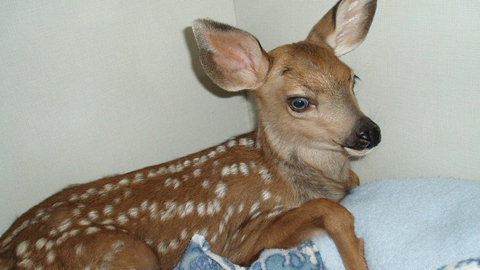 This fawn was rescued from the side of the road and ended up in a wildlife rehabilitation facility in Smithers. Here at BLVC, we handle all types of cases. 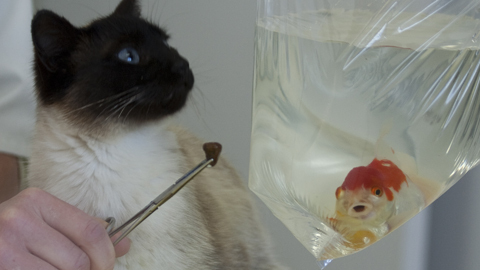 This goldfish came to us with a stone lodged in it’s throat. The stone was extracted, and as you can see, this little guy is doing fine! This beautiful pup visited us at BLVC for some dental work. 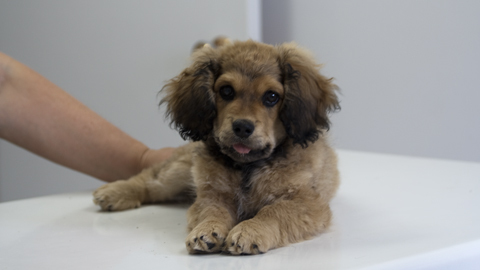 The dental services we offer for small animals include regular cleaning, scaling and extractions.